Left 4 Dead 2 has become a gently-rotting poster child for Australian game censorship in the past five years. Oz’s famously conservative ratings board rendered one of the best PC first-person shooters almost completely bloodless, and spirited away the bodies of the dead often before they had time to hit the Georgian dirt. 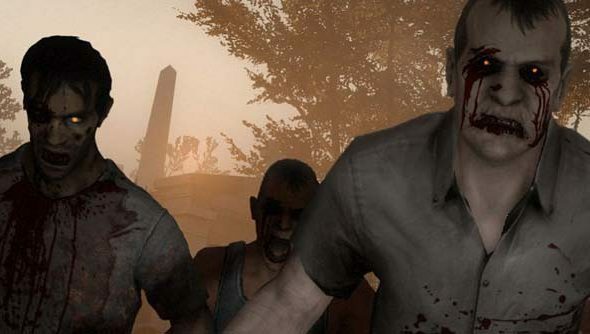 Valve appealed the board’s refusal to classify Left 4 Dead 2’s original version in 2009 – but only now, half a decade on, has it been approved for distribution in the region. The Australian Classification Board has now awarded the uncensored version of L4D2 anR18+ rating, which reflects its “high impact violence, blood and gore”. The censored version of the game Valve submitted in 2009 enjoyed an MA 15+ rating. At the time, the board wrote that the “element of violence in the game has been sufficiently modified and is now able to be accommodated within the MA15+ classification”. Even after appeal, the board refused for five years to classify the uncensored game. They cited a “level of violence which is high in impact, prolonged, repeated frequently and realistic within the context of the game”. Australian law requires that games sold at retail be rated by the board first. So even a rating as restrictive as R18+ represents the unbanning of the unmodified L4D2. Do you remember the business with South Park: The Stick of Truth and censorship? That was more to do with high impact dildos, iirc.